Former CEO and trustee to Galapagos Islands charities. Now CEO in the finance industry with a personal interest in conservation and traveler philanthropy. As of 2016, there were 1,052 World Heritage sites. I have now seen a total of 100 of them. The World Heritage Committee adds 10 to 30 new ones to the list each year. Seeing 41 in a year makes you realise just how many amazing places there are on this planet, and that you really don’t stand a chance ever to see them all. They generally are darn cool! Before I visit a country, I now habitually google “World Heritage” plus the country name and look through the local list. I am two-legged evidence for the World Heritage designation being a driver of tourism. Inside the Escurial Monastery, north of Madrid, Spain. Architectural and cultural sites tend to be in good condition, and will probably remain in good shape because buildings are in some ways easier to protect than many natural sites. Exploitation of resources, mass tourism, overpopulation—the threats to these natural sites often seem as overwhelming as the organisations working to protect them seem under-equipped and insufficiently effective. How is it possible that in the year 2016, several large iconic species in Africa face extinction? Industrial-scale poaching of elephants, for instance. The continent has seen the worst reduction in elephant populations in 25 years. Less than 500,000 elephants still survive there, compared to 26 million in 1800. Extinction is now a real risk. If we can’t even protect elephants, what can we protect? Thus my number one take-away of the year: I want to see natural World Heritage sites before they get destroyed or irreversibly changed. There are 203 of them worldwide, so there’s plenty to see. I will prioritise the ones in developing countries because that’s where problems tend to be the most severe. The other sites I want to visit sooner rather than later are the hyper-popular places that suffer from ever-increasing crowding. The Taj Mahal now gets over 100,000 visitors on some days; Venice is drowning in mass tourism to a degree that the local population has started to protest; visitor numbers at Angkor went from a few thousand in the 1990s to a staggering 2.1 million last year, etc. With these floods of visitors come McDonald’s branches, T-shirt shops, street vendors, and other annoyances that alter the character of a place. Few sites have the good governance of the Alhambra in Spain, where a strict and limited ticketing system is applied. If there was a way to visit World Heritage Sites through virtual reality, then I would do that for some, but not for others. I hope VR will eventually be on offer. I’d pay for it. For a good number of sites already overloaded with tourists, a virtual visit may be the only way to accommodate future visitor interest. The World Heritage website of UNESCO is outdated from a user-experience perspective. I use it to check the names of sites, then research everything else elsewhere, usually starting with Wikipedia. Another useful resource is www.worldheritagesite.org, a website run by Els Slots, a volunteer enthusiast. 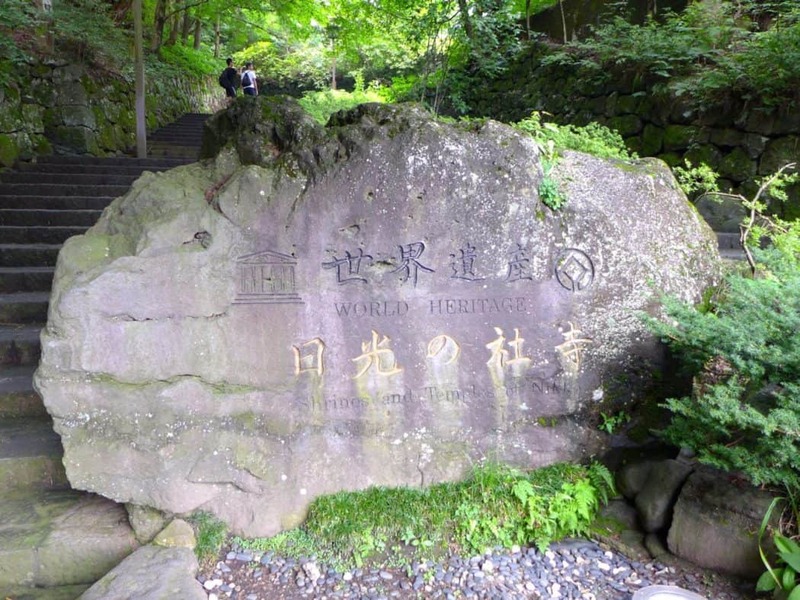 A neglected World Heritage sign—too common a sight. It’s sad to see that sometimes there seems little effort put into local representation of the World Heritage brand, its message, and its mission. Sometimes you see a sign. Mostly you don’t, and if you do, it may be rusty or hard to find. 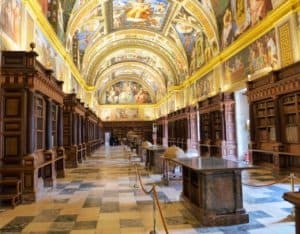 Among my friends— a well-travelled, well-educated lot—my year-long anecdotal survey found that hardly anyone really knew what World Heritage does, how it functions, how it’s funded. Doesn’t bode well for this institution. There is some pretty scathing criticism out there about the entire World Heritage system, e.g. in the Guardian and the Economist. At every single site, I would have been happy to toss $30, $50, or $100 into a hat to donate to protection efforts and support for the local community—funding with no strings attached and no questions asked. It would have just required a hat and a sign. The problem is, they rarely asked. World Heritage may be the world’s worst case of missed on-site fundraising opportunities. Based on my own research, there are many hundreds of millions of foreign visitors to World Heritage sites each year. To my knowledge no official, consolidated statistics exist. But in any case, it’s a staggering number, and that’s not even counting still greater volumes of local domestic visitors. 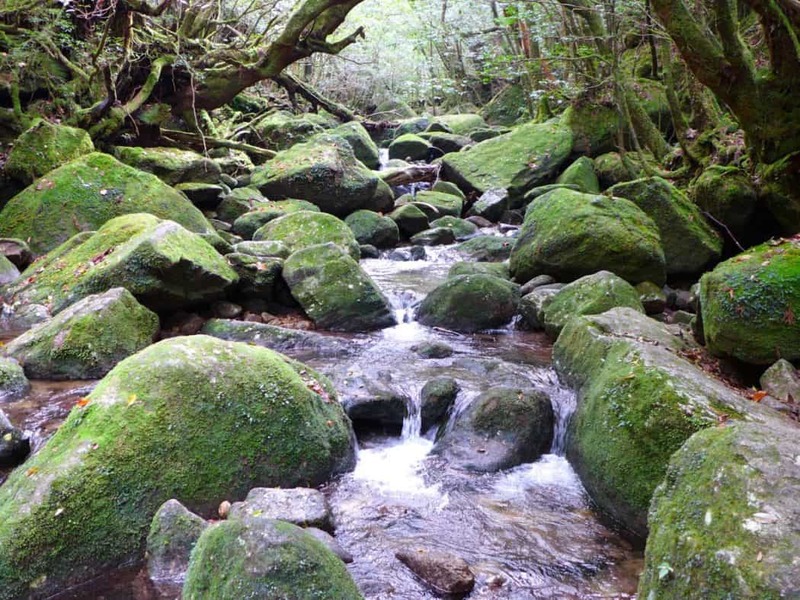 A burbling stream on Yakushima Island, Japan. Folks always ask me which 38 were my favourites. In 2016, the winners were Wadi al-Hitan (“Whale Valley”) in Egypt, Lebanon’s Temples of Baalbek (at least on par with the pyramids), and Yakushima Island in Japan (beautiful natural heritage and well protected). The Alhambra and the Taj Mahal were close runner-ups. Below is my entire 2016 list of 41 sites, which came together through a mixture of personal interests, availability of cheap flights, and opportunities to combine business trips with personal pleasure. If someone asked which sites were the worst, I’d say that actually all of them were great in some way. The nomination process administered by UNESCO is pretty solid! But I put a question mark next to the fabulous Soclet House in Brussels. It’s a private house, which kind of defeats the purpose (although it may still be opened to the public one day). Others were less spectacular than I anticipated, but had a fabulous history to discover, such as the Selimiye Mosque and its architect, Mimar Sinan. I would have loved to feed my observations and photos into a giant database hosted by UNESCO to help them police the sites. Imagine a global army of millions of citizen observers armed with smartphones, an app, and a mission to report their observations to World Heritage HQ using short surveys and other simple mechanisms. Such citizen reviews could go into the sites’ regular evaluations and be used to improve matters (including which UNESCO signs are covered in rust and dirt and need to be polished). By now, I understand that this idea is naïve, as the people in charge of a site probably wouldn’t want visitors to participate in such a way. It’d shine a light on all sorts of problems and force the authorities to respond publicly—or even act! If such a mobile, networked alarm system were desired, it would already be in place, given that technology and software doesn’t cost much these days and there is a growing number of philanthropic funders who’d be interested in this kind of automatisation and data collection. Sad to see a good system being so behind the curve. My practice of rushing through these places really didn’t do them justice. Establishing a goal based on a number of sites to be visited was really quite stupid—bucket list tourism. For the most part these sites deserve spending quality time to see them. I also regret not having had more time to read a few books (old and new) about each site beforehand. Reading up on my iPhone in the taxi to a site simply isn’t good enough. 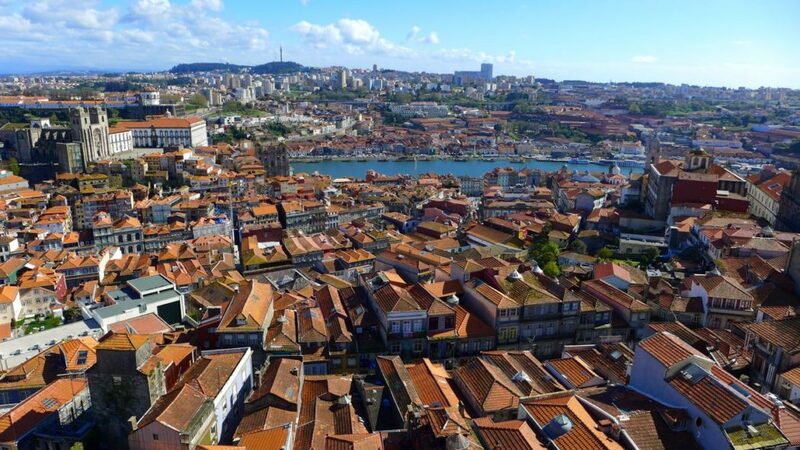 The historic center of Porto, Portugal. On a positive note, visiting the sites quickly allowed me to identify which ones I want to read a lot more about and then re-visit. First among them is Baalbek, then anything in Egypt, followed by the Alhambra (also because Granada is a lovely gateway town that has kept its character so far. A nice place to visit in itself). In terms of the conservation of these places, one of the coolest organisations I came across was CyArk, who are using new technologies to create a public, 3D online library of the world’s cultural heritage sites in case they get lost through natural disaster, war, etc. If I ever need an idea on where to host the ultimate birthday party, a product launch, or a celebrity event, then the list of World Heritage sites will serve me as inspiration. Some of them are for hire. There are probably more World Heritage sites in your own country than you’d think. At least that was the case for me in the UK: 30! I am glad that I read up on the World Heritage Convention; it’s a fascinating system. The best book about it is from Mechtild Roessler, called Many Voices, One Vision. Expensive, but to my knowledge simply the best thing written about the subject, and goes to show what incredible intellect went into the entire system when it was created.